This is a good idea: a very short high level summary of the main events of the Second World War. While I'm not an expert, I'm familiar with the key events yet still found this interesting and useful. It's not, however, as well delivered as it could be. Some of the writing is slack and the organisation could be tighter. It reads more like a hobby project than a professional publication. But it's a fair effort and decent value from the Amazon Kindle Store for GBP 0.99. I enjoyed this book a lot. 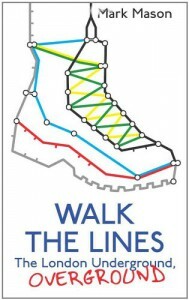 The concept is simple: the author's thoughts and feelings as he walks the 403 miles of the London Underground network, following the lines above ground. I found the author engaging and the book taught me a lot of new things about a city I have lived in for nearly 30 years. A gripping story of invention and innovation in the 19th century. Two things particularly struck me: (a) that the initial experiments with the electric telegraph were much earlier than I had imagined and well before Faraday's theory of electricity explained what lay behind it all; (b) the long, 30 year, gestation then the incredible explosion of take up of the telegraph (650,000 miles of cable in just a few years) and the pace (within a decade) within which the key undersea cables were laid. Breathless stuff. I enjoyed Ian Castle's book "Arsenal: The Agony & The Ecstasy". Castle takes the reader on a 43 year journey as he relives his experiences as a life-long Arsenal season ticket holder. It's an uneven ride: parts are gripping, others are not much more than a litany of brief match reports but there's much here that the football fan will empathise with and, for Arsenal fans in particular, this is an enthralling history of the club from the late 1960s to the present. 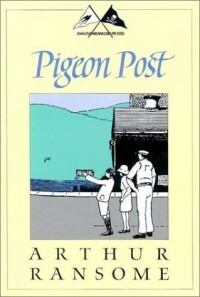 I love Arthur Ransome's books but this wasn't one of my favourites. The final quarter was gripping but I found the first three-quarters to be slow. Rather than reading A Christmas Carol, I saw Simon Callow's one man show in which he gave a staged reading of a substantial abridgement. Callow's convincing characterisation of Scrooge brought life to the story and I had a most enjoyable evening. I knew the basic story already from films and childhood versions but there is much that is gripping about the original. 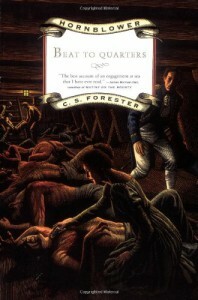 For me, Dickens is best when I listen to a really good narrator, rather than reading it for myself. 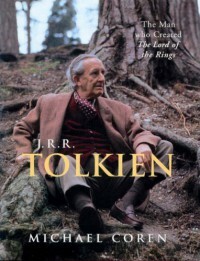 I enjoyed this short biography which sets out the overall arc of Tolkien's life in a straightforward manner. No doubt other biographies go deeper but this succeeds as a clear presentation that can be read in a couple of hours and which includes some interesting photographs. I found the style irritating in places - parts of it read as if it were written for eight year olds - but I was engaged by it and glad to have read it. 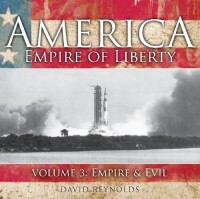 This third volume in David Reynolds' radio history of the United States covers the period from the end of World War 2 to the start of the Obama Presidency. After the slightly mixed bag of Volume 2, this is back to the standard of Volume 1. A strong, clear narrative that gripped me and made me want to stay engaged, listening to episode after episode. This second volume of the BBC Radio series on US history, with its 30 x 13 minute episodes covering 1860 to 1945 slightly disappoints compared to the excellent first volume. Some parts, especially the later episodes covering the early twentieth century match volume 1 for excellence - being gripping and drawing you onwards, but the Civil War episodes take a confusing thematic approach (the war is "over" before Gettysburg makes an appearance) and they are followed by several episodes mired in dry stories of inter-party machinations and skullduggery. Worth sticking with, because the twentieth century episodes do perk up, and I'm heading into Volume 3 (the Cold War and beyond) with enthusiasm. 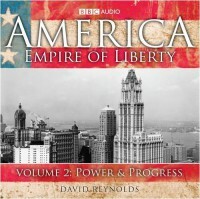 This is the first of 3 audio-CD sets of a BBC Radio series about American history. This contains the first 30 x 13 minute episodes from prehistory up to 1860. It's gripping, moving at pace and with each episode leaving you wanting to know what happens next. I can#t recommend it highly enough. I can't remember when I last enjoyed a novel so much. I was gripped by the pacing of the plot, the descriptive battle scenes and the characterization. I reached the stage (rare for me) of a cinematic reading experience. I am sure that to appreciate this you'll need to be interested in the Napoleonic naval genre. If you are, this is a real treat. Proust is a marvel. I love his poetic prose, his philosophical turns and his acutely observant treatment of character which can be, in turns, tender and acidly wicked. But he does take some getting used to. In Search of Lost Time has a clear story arc but wanders into byways where it's all too easy to get bogged down. Proust's famously long sentences also take a bit of adjustment (though treating his semi-colons as if they were full stops provides a leg up here). In this first volume, I am particularly fond of the Combray section - I could read it forever. Swann in Love, I find tiresome. The famous "Overture" that has probably driven away so many potential readers has its joys but is best appreciated on a second reading and, in my view, should be avoided first time round. A wonderful way into Proust is through the Naxos Audiobooks readings by Neville Jason. These are abridged to around a third of the work's length (though they still last 45 hours) and provide a beautifully accessible route through the narrative. Once you've got the big picture, you can go back and follow the byways at your leisure. A wonderful little book from 1909 written with flair and humour that provides a practical way into some of the gems of English literature that probably passed by those of us who didn't study English at university. Hard Times - hard going. Not one of my favorite Dickens' novels but I did make it through to the end. There were a few wonderful descriptive passages but I found the plot thin and the characters two dimensional: I never felt much for any of them. More one to have "ticked off" than to go back to. Concise overview of Middle Eastern history from ancient times to the present day. 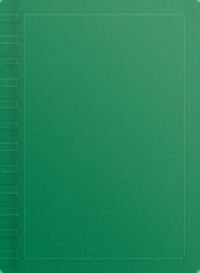 Useful as a launchpad for wider reading.